Mr. Panikos Symeou was born in Limassol, Cyprus. He is a founder and managing partner of the law firm Symeou & Konnaris LLC. Panikos graduated in law (LLB) from People's Friendship University of Russia and further obtained a Master in Business Law (LLM) from De Montfort University - Leicester, UK and a Master of Science in Financial Management (ASU-USA). He is also licensed Insolvency Practitioner and was admitted to the Cyprus Bar Association in 2003. 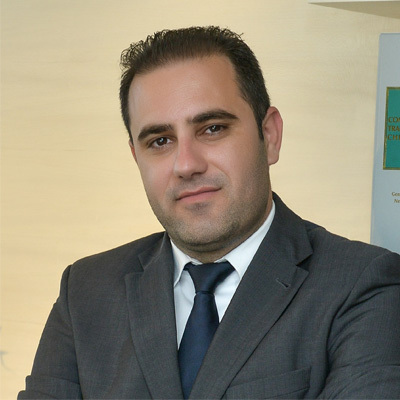 He is a member of the Cyprus Bar association, the International Tax Planning Association(ITPA) and the Society of Trust and Estate Practitioners (STEP). Areas of Practice: His main areas of practice are general commercial and civil litigation, Corporate and Commercial Law, Family law, Immigration Law, Real Estate, Foreign Investments in Cyprus and abroad, International Tax Planning, Banking and Finance, Intellectual Property Law and Trademarks.